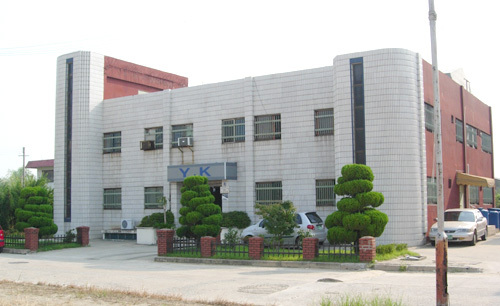 Y.K Corporation is manufacturer of fine jewelry and has been doing business with our oversea customers in this line for the past 20years. We've taken great pride in establishing personalized relationships with our customers. We are one of the most respected and recognized names in the Jewelry industry in Korea. Our main goal is to provide customers with the finest quality jewelry products. Our products enjoy a good reputation among our customers. Full ranges of products include rings, earrings, bracelets, pendants etc. in 10 karat, 14 Karat , 18 karat etc. Most of our products can be special ordered in whichever metal that you want. Also, we always, try to supply to our customer most up to date styling go trough studying for rapidly changing markets. We have own factory with high skillful worker who have been a good experience to manufacture the finest products for a long time. Our skilled craftsman has been worked average over 10years in jewelry industry. We are able to make best quality goods with shortest delivery times as reasonable price. Our productions enjoy a good reputation among our customers. All of our products conform to Quality Assurance Manual & Packing and Shipping Guidelines of QA program. Your satisfaction is guaranteed with anything you buy from us. We can use any shipping method you want. We invite you to give you the opportunity for our good service. This website is for use to provide our company information and retailer or wholesaler's ordering. Catalog, terms and conditions of sales, and prices are given on direct inquiry. If you like to have any question or more information about anything related to us, pls feel free to contact us to our e-mail or fax without any hesitation. We have our manufacturing facility in Iksan-City, Jeonbuk, Korea. Copyright(c) 2002 Y.K Corp. All Right Reserved.